Unless you are an absolute coffee PURIST, then you don’t mind adding a shot of flavor to your coffee every now and then. Coffee is incredibly versatile in that sense – just a few squirts of coffee syrup and the rich flavor and aroma of the coffee combines flawlessly with what you put in it. Of course, the flavor profiles have to match in some way, but that goes without saying. If you’ve picked up a flavored latte or iced coffee from your favorite coffee shop, you probably have seen the barista squirting a syrup into your coffee after pouring the frothed or iced milk on the espresso shot. Because the liquid is so hot, the syrup dissipates quite quickly throughout the mixture, but I have experienced that the bottom of the cup is always much more strongly flavored than the first few sips. A quick stir would fix that, of course, but don’t destroy the bubbles! You don’t have to go to a coffee shop to enjoy these beverages, though. 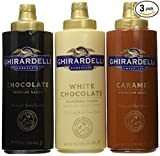 The awesome thing is that you can pick up coffee syrups from Amazon or your supermarket(if they stock them) and make flavored coffee at home, too! If you’re a coffee shop owner looking to see what to stock, this list will help you too. 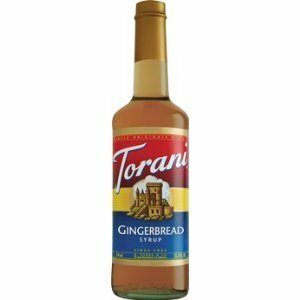 Note: I have personally used Torani and quite enjoyed the coffee – the syrup I was using was caramel. Great for home use! Recipes Included! Vanilla is the “classic” flavor for everything, be it ice cream, chocolate, or coffee! Tim Horton’s of Canada has become legendary for it’s maybe-not-so-French Vanilla coffee, and almost all coffee shops utilize the rich, soothing taste of vanilla in one way or another. The best thing about vanilla is that it’s a starter flavor and can be combined with other flavors to create even more depth and texture. 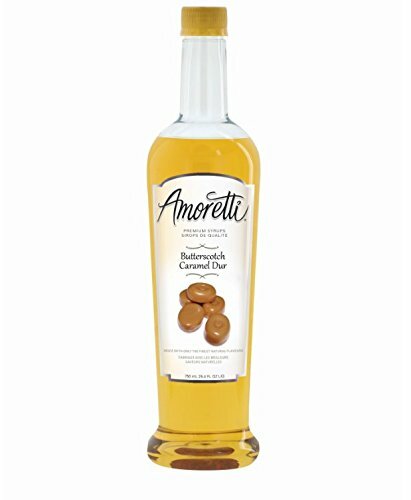 Try mixing it with chocolate or strawberries and your coffee will taste like a cake! Coming in at a close second, almost neck and neck with vanilla is caramel. There is a coffee chain called Second Cup who make a latte called the caramel coretto – that coffee is my FAVORITE latte and I’d take a Caramel Coretto any day over any other chain-bought coffee. Caramel syrups are usually classic caramel and salted caramel, which has an added kick when you feel the salty and sweet dance on your tongue. If you like salted caramel chocolate, you will most likely enjoy a hint of salted caramel in your coffee, too. Finally, we have hazelnut – the nut in the list! Hazelnut has a very creamy, chocolatey flavor as it is – look at how popular Nutella and Ferrero Rochers are! Hazelnut coffee adds hint of nuttiness to your coffee and if you like their flavor profile, hazelnut coffee can really perk you up. Personally, I find hazelnut to be a little too strong when mixed with coffee. Butterscotch is quite similar to caramel, but it has that distinct buttery, dairy depth to it that caramel just doesn’t have. If you give me a choice between butterscotch and caramel on an ice cream, I’d prefer butterscotch any day! Butter coffee seems to be quite the rage these days, so perhaps butterscotch syrup may be a cool thing to try. Chocolate syrups may seem like a strange addition to a hot coffee, but they’re a neat way to top up a mocha iced coffee. Mint syrups add a icy, cool hint to your coffee. Starbucks does quite well with their popular peppermint iced coffees in the winter season! They would certainly spruce up a cold or iced coffee, but for me, it was hit or miss in hot coffee. Mint by nature is a cool sensation, so the mixing of hot and cool was a little neutralizing. Dessert flavored syrups include gingerbread, pumpkin spice, and other popular desserts – personally, I am not a huge fan of these flavors, as I enjoy the dessert itself more! But if you like your coffee tasting like your favorite dessert, then there’s certainly nothing wrong with trying these out!